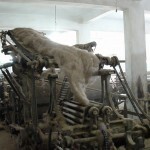 Before any weaving can be started, it is necessary to prepare the yarn. 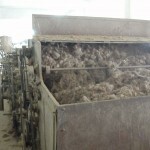 The first process takes place in the spinning plant, where the raw wool starts out in the shoot. 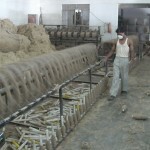 It is combed to separate all the individual fibres and remove impurities, then laid out in a continuous mat. 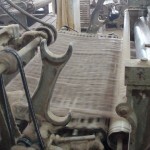 From here fibres are separated into uniform strands and spun into the final yarn. 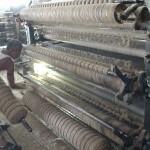 The yarn is then wound onto spindles, from which it is then taken off into hanks. 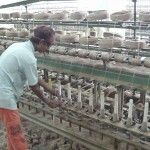 These hanks are then ready for the dye house.